With an extensive background in Aesthetics, she has dedicated close to 30 years to the Aesthetics Industry. She owned and operated her own salon for many years. Joanne is best known in the Spa industry for developing and teaching her theory on Treatment and Prevention of Ingrown Hair across Canada. She was a keynote speaker at Spa shows across Canada as well a National Educator and she has personally trained and educated several thousand Aestheticians across Canada. Today her passion is in teaching people about the power of Colour and how it affects every area of our lives. She is a Holistic Aura Counsellor / Life Coach and works with the Biopulsar to assist people in understanding their unique colour coded personality and what it is creating their life. Joanne has created the Heal Your Life With Colour Program and the Colourology 101 Program which are personal transformational programs designed to bridge the gap between where you are to where you want to go based on the ancient wisdom of colour. 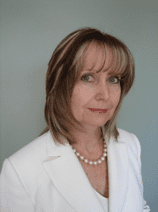 She is an Internationally Certified Student of Dr. Doreen Virtue as an ATP – Angel Therapy Practitioner and has done intuitive readings for people for many years tuning in on “energetic imbalances” that may be keeping someone stuck. Joanne is a Certified Crystal Healer with Hibiscus Moon Crystal Academy. Additional modalities include Colour Therapy, Chromalive, The Mind-Body-Face Connection, The Mind-Body-Colour Connection, Raindrop Technique, to name a few. Joanne has studied Aromatic Science at The Institute of Energy Wellness Studies. She is also on Faculty at the School. Her ongoing commitment to excellence and cutting edge developments in the Spa and Holistic Wellness industry has made her a go to person and a sought after speaker. Engagement is one of the most important aspects of community. If we do not have a purpose, we are moving through the motions of work and life to survive in lieu of taking purposeful action. The Leader-Teacher Blueprint activates the soul level of interaction by waking up the will below the surface level of life that ignites passion, compassion and action. Leader-teachers take responsibility for how they live their lives attuned to what is while envision what can be with patience and influence. They do not wait for others to lead so they may follow at a safe distance, they step up and walk shoulder to shoulder with others who are also committed to make a difference and change the conversation from adversarial to cooperative in a way that all parties are heard and share without judgement or attachment to process. Leader-teachers know what the difference between non-attachment and becoming detached from an outcome. They practice non-attachment more and more as their power rises. It is not force, nor status that makes a person powerful, it is the ability to stand for their values of truth, faith grounded in integrity. Leader-teachers open the way to possibilities that revolutionize the way we interact. We can level up to the possibility we dare to dream, speak and commit to with wise hearts and open minds that stay a course with purpose. Be the CEO of your own life! Become a Leader-teacher. Praise for Bettylynn's book Awesomeness Now! I’ve learned a lot in this life thus far, however, Awesomeness Now! is a life lesson that goes well beyond most of what I’ve known. So much of what Bettylynn talks about may have crossed our paths in the past, but she brings a clarity to so many new ways to be the best leader and teacher you can be. Once I finished this book my confidence soared knowing especially how to overcome that pesky voice in my head and the inner critic. If you are looking to be a game changer this is certainly what you need in your life! Bettylynn’s Leader-Teacher blueprint will invite you to defy self-limiting boundaries and traditional expectations in order to step into your own personal powers. Her teachings are essential for anyone looking to live a life beyond limitations, and her mindful questions throughout help reinforce the importance of the Leader-Teacher mission. Awesomeness Now! by Bettylynn Stoops challenges all of us to be the leaders we were created to be and to make a difference wherever we can, wherever we are, by seizing opportunities to step up. She makes it easy to be a Leader-Teacher by speaking to the wisdom of spiritual and leadership principles; she provides challenging exercises and self-evaluation tools, creates mechanisms for breaking out of current limiting benefits/practices to become a game changer as a Leader-Teacher. Invest in Awesomeness Now! and really make a difference in your world. Awesomeness Now!, written by one of the most experienced and best Leader-Teachers I know – Bettylynn Stoops – gives the perfect blueprint for those who want to make a difference in the world, one step at a time. Awesomeness Now! has given me new fuel and an improved blueprint to shift the medical paradigm and introduce Health Optimizing clinics around the world. Bettylynn, thank you for this gift that provides focused insight that improves outcomes that affect the bottom line of business and life. Awesomeness Now! helps to take both the personal and business focus to a new level of awareness and action with purposeful intention, and influences others to do the same.